I can remember the first time I visited Ardbeg back in 2003. It was a glorious day, I was with my family and we walked down to the pier. The sea was like a mill pond – not a ripple and crystal clear. I think it was on a Sunday and the Distillery was closed, so we had a crab line and a bucket, and went looking for crabs. I remember sitting on the grass bank looking down at the pier and thinking this place is so beautiful and peaceful. I closed my eyes and just breathed the air and listened – I was hooked. Looking back at the white stone walls and the name Ardbeg, and the empty casks the manicured grass lawns, I thought – is this really a whisky distillery? So from that day onwards, it was all about Ardbeg. To think a few years before – and I mean a few – I hated peated whisky. I would give it away if a bottle was given me – haha yeah give it away. It started to change for me, going to Nickolls and Perks, whisky and wines specialists in my hometown of Stourbridge. They held tastings, a couple each month, and my palate started to change. What really did it was a 40-year-old Laphroaig. I couldn’t believe how fruity it was, and the smoke and peat were soft and mellow. Through these tastings, I started to accumulate bottles – lots of bottles. Everything and anything whisky. I had to give myself a talking to as it was getting out of hand, so for a while, I stopped and took a step back. I started to look at the whisky market in general and read a few books. What really interested me more than anything was the history of the whisky industry. I remember seeing a picture of a ship at the pier at Ardbeg and the casks loaded on to it – they looked harsh times – and the families that worked at Ardbeg; some 40 families I think. In the year of 1815, Ardbeg started distilling legally. 1815 – that date struck a chord. Lord Nelson had died at Trafalgar in 1805. In 1815, Napoleon was still running amuck in Europe, and Ardbeg was distilling. Sunday, June 18th, 1815: The Battle of Waterloo, where Wellington fought Napoleon, and Ardbeg was distilling – that just blows my mind. November 20th, 1815 – The Treaty of Paris was signed following the defeat of Napoleon and Ardbeg was distilling! I know there were other distilleries, but this is me romanticising about Ardbeg. Moving back to reality, I’ve visited the distillery many times. The 2015 200th anniversary sticks in my mind a great Feis Ile. But the visit in April 2013 really was the icing on the cake for me: 3 of us, and a private tasting and tour with Mickey Heads, tasting single cask whiskies from 1974 and 1975. Some years before, when Mickey Heads took over the distillery from Stuart Thompson, and he did a tour of the UK. I was lucky enough to have a lunch invite with Nickolls and Perks, Mickey and Ardbeg/Glenmorangie. The Peaty Path of Ardbeg has been up and down over the years – closed, then open, changing hands, closed, then open. But it is a much more stable proposition since Glenmorangie took over the helm, steadied the ship, and invested in the history of this great distillery. The Ardbeg Committee is strong with some great members: Tim Puett (The Ardbeg Project) and Greet Bero 2, are some great guys who share their passion for all things Ardbeg. All these things are why I just love Ardbeg. 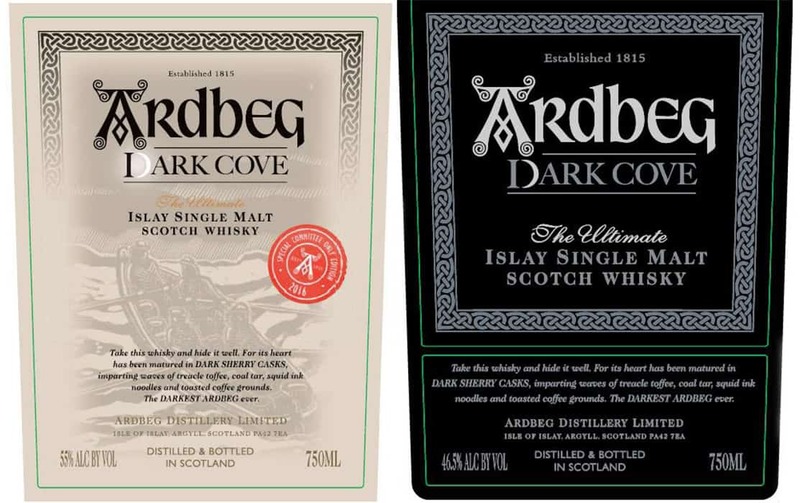 Even when the critics are out to slate the latest expression of Ardbeg, who cares? I don’t; I make my own mind up. You will never hear me say this is crap or other choice words along those lines. Each expression is different, some better than others; that doesn’t make it rubbish just different. I have been lucky enough to taste lots of old Ardbegs, from the 60s and 70s. That doesn’t make them better than whiskies distilled in the 80s, 90s and later. They’re just different. Things change, methods change, but as long as it has the name Ardbeg, I will drink it come what may. Which brings me to this year’s Feis Ile 2018 – the Ardbeg Grooves. It is very, very enjoyable – congratulations on this. I’ll be on Islay this year for the festival. I’m looking forward to meeting old friends and new, sharing a dram or three, talking all things whisky – and, of course, Ardbeg. For those of you that know me, I’m no blogger and I don’t very often write, but I’m passionate about whisky, the people who make it and who work in the industry. I run a whisky society called the Wet We Whistle Whisky Society in Stourbridge with two friends. 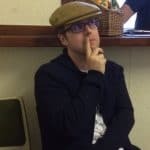 You may see me at whisky festivals around the country supporting Wemyss Malts, or Nickolls & Perks at The Midlands Whisky Festival, a member of Birmingham whisky club, a member of The Tormore 4 – or just as @ardbaggie on Twitter. Hope to dram with you soon. – Andy Purslow, Ardbeg Lover. Behind Malt is a strong team of writers and whisky enthusiasts. Occasionally we are enhanced by articles from guest writers who are given this platform to review a whisky or provide a unique viewpoint. Nice article! I bought my first Ardbeg (10yo) yesterday after recently trying a dram of Uigeadail. Looking forward to cracking it open on Saturday night. Hi James, a good choice with the 10yo its a classic alongside the Uigeadail. Cheers! Great tribute. I have a crush on Ardbeg as well. I like what you said about new expressions being different and that doesn’t necessarily make them poor. I enjoy the Grooves and I loved Dark Cove.